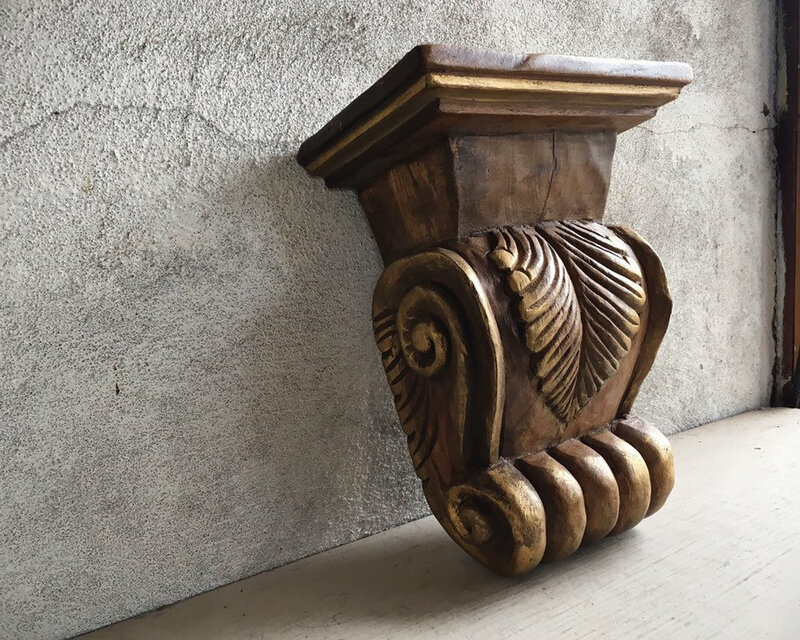 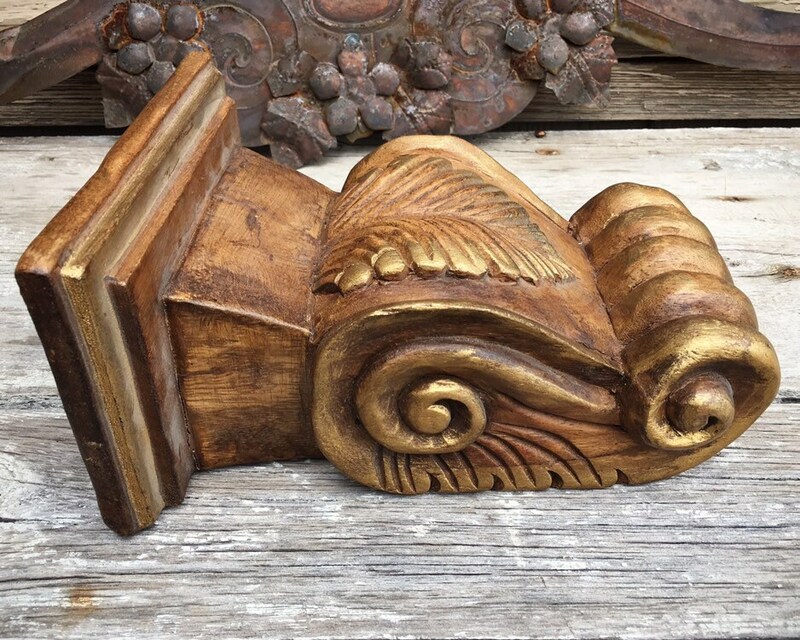 Here we have a beautiful solid wood carved corbel shelf in a Baroque style. 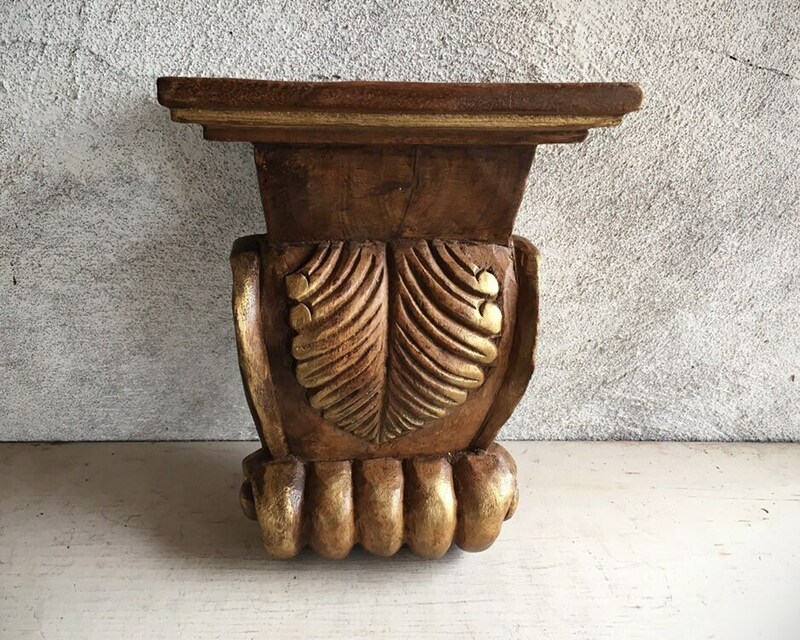 Would be stunning in an entryway with plant spilling over it or a carved angel or santo. 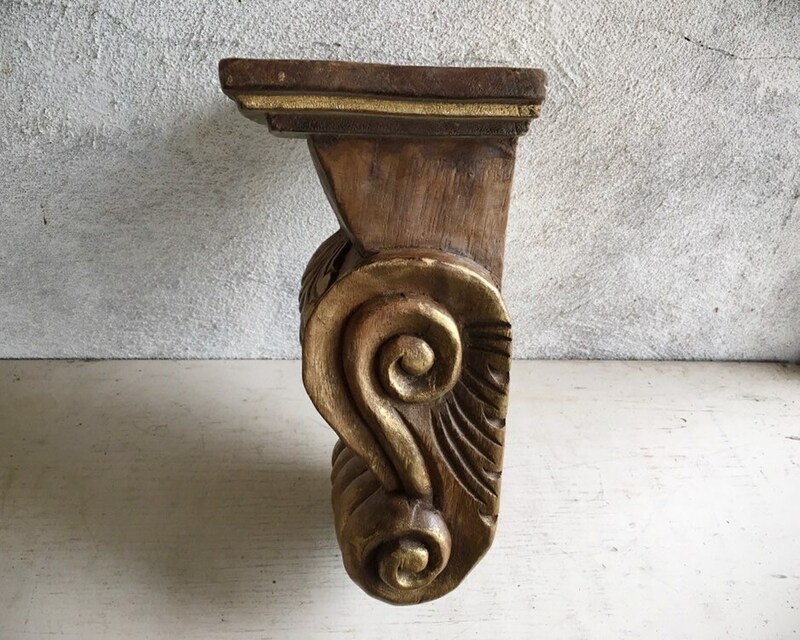 The wood is warm with age with a light golden paint highlighting the carving, and on the back are two embedded hangers. 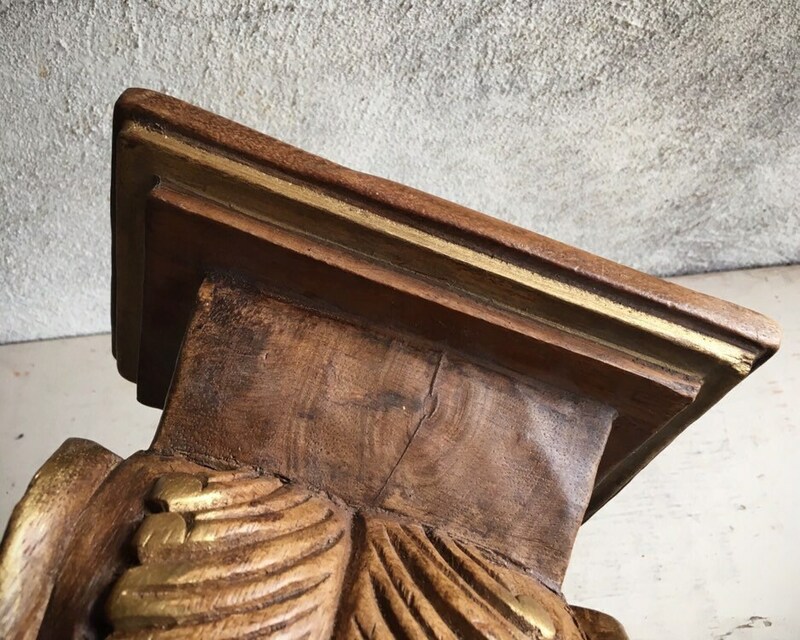 There are some scratches and possibly flea bites along the edges but all adds to the piece. 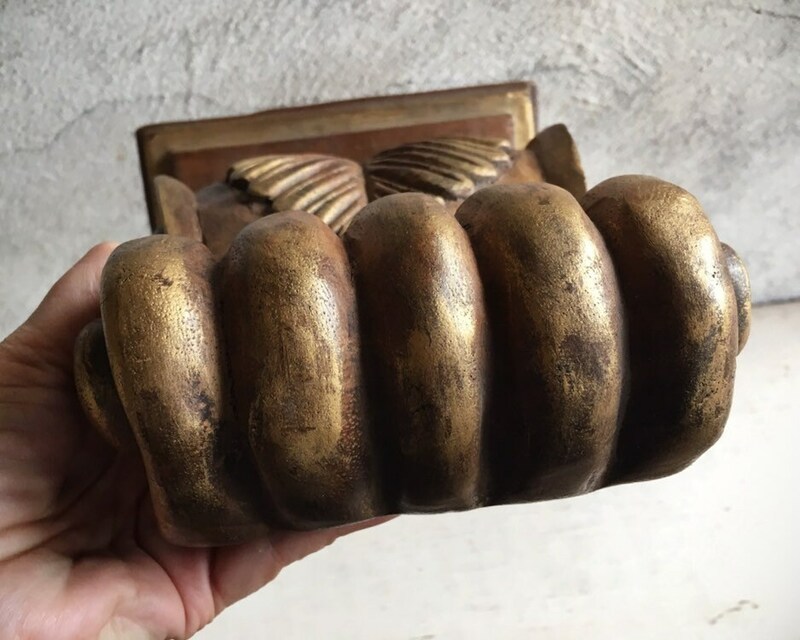 Weighs about 2.75 pounds and measures about 10-1/2" tall, with the width at about 8" across and 5" deep. 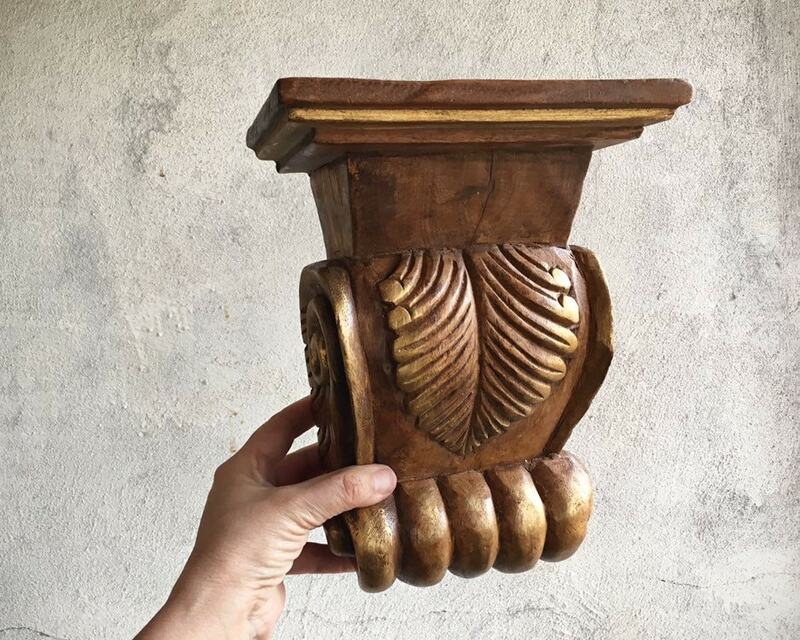 There are no markings on the piece. 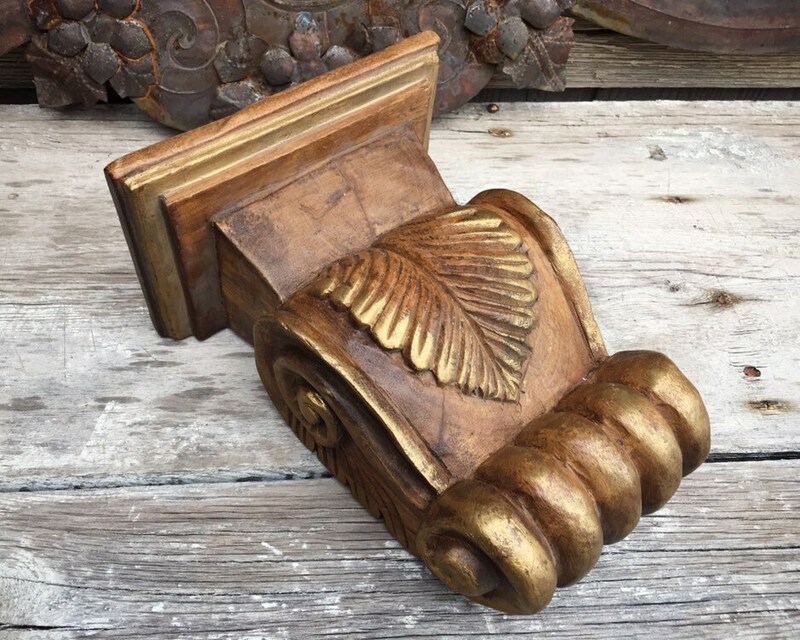 In rustic and distressed vintage condition.